The Google Chrome browser is a very popular internet browser among these days, it’s super-fast and has excellent security, bookmark and preference syncing, and strong support for HTML5. When it started to support extensions to give it almost unlimited customization. But considering the Google Chrome Web Store is littered with hundreds, upon hundreds, of extensions, applications and goodies it can be hard for someone new to the scene to pick out the best available. 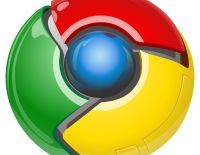 Here i am listing some of the best extension for the Google Chrome Browser. When it comes to people who hates the ads and pop-up ads. Some time you like the ads, but you never like the irritating pop-up ads. It’s always keep on open while clicking the other pages. This the best extension for blocking the Ads. This is for people who uses the Gmail as the email services. it displays the number of unread messages in your Google Mail inbox. You can also click the button to open your inbox. Keep up with your friends, even when you’re not on Facebook. This extension connects to your Facebook account to show you what’s happening with your friends including: Likes and comments on your posts, Invitations to events, Posts in your groups, Friend requests, New messages,Other notifications you normally see when you’re on Facebook. LastPass is a free password manager and form filler. It help you automate the form filling process. It also supports the importing the password from other online password storage like RoboForm, 1Password, KeePass, Password Safe, MyPasswordSafe, Sxipper, TurboPasswords, Passpack. LastPass also offers a premium upgrade which includes native mobile apps. Speed Dial for Chrome – replace Chrome new tab with your predefined visual bookmarks. You can Set the number of dials in the page, select your desired theme and background image, and now use site logos as your speed dials. Backup and sync your bookmarks, passwords and open tabs across computers and browsers. Xmarks is the #1 bookmarking add-on. Xmarks synchronizes across multiple computers, and across web browsers: Chrome, Firefox, Safari and Internet Explorer. After you install the add-on, click on the Xmarks icon to start backing up and synchronizing your bookmarks. Notes board It serves to remind tasks, write down any temporal data etc. You can save html content too. You can drag and You can drag and resize the sticky notes. You can edit notes doing double clik in the text, and then to copy or to cut the text.You can select various colors and thus to use each color for each type of task (for personal tasks such as yellow, green for work etc. PDFescape enables you to open and edit PDF files & forms online, free! This Google Chrome extension allows you to automatically open PDF files you discover online in PDFescape. PDFescape is a free PDF editor and PDF form filler. Using this extension allows you to quickly open PDF files online inside of PDFescape (instead of your default PDF reader). This extension especially for the bloggers.Get the daily statistics of your blog in your chrome browser. WordPress Stats for chrome provides you the referrers, top posts, search term and clicks of your blog without the need to login your blog dashboard.